Parents everywhere may soon be celebrating the fact that putting children to bed just got easier with the worldwide release of "Subliminal Lullaby" from singers Autumn Sky Wolfe and Debra Byrd. Available on iTunes and CD Baby, a portion of the profits from song sales are going to the Autism Speaks nationwide nonprofit organization. 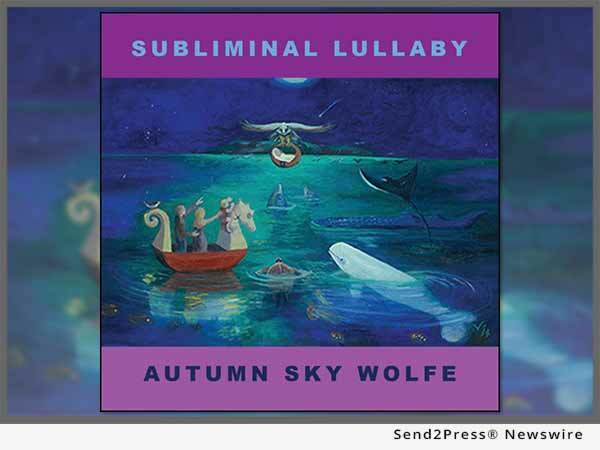 Parents everywhere may soon be celebrating the fact that putting children to bed just got easier with the worldwide release of "Subliminal Lullaby" from singers Autumn Sky Wolfe (www.autumnskywolfe.com) and Debra Byrd. Available on iTunes and CD Baby, a portion of the profits from song sales are going to the Autism Speaks nationwide nonprofit organization. "The melody is peaceful and relaxing while the lyrics help a child build confidence and self-assurance," states Meredith Day, songwriter and founder of Mothers Against Child Endangerment. "With its positive message, the song helps a child grow up to be a better, stronger, and more self-reliant adult." This is exciting news in the area of calming kids for bedtime or naptime. The full 11-minute version lets listeners put aside the tensions of the day and relax to sleep. "We have heard lots of positive stories from parents and grandparents using the song to get their little ones to go to sleep," Day continued, "and there are also adults who say they're playing the song for themselves as a relaxation or sleep aid." In addition to the digital files of the recording, the song is available on CD with additional tunes. There is also a deluxe gift version of the compact disc that contains a commemorative booklet and a 3D cover that some people are utilizing for meditation. "One parent said that 'Subliminal Lullaby' contains everything you should tell your child but are sometimes too busy or too exhausted to emphasize every evening," Day stated. "We are so pleased to see the positive reaction to this release, which is available in time to be one of the year's best holiday stocking-stuffers," Day added. The 21-year-old Autumn Sky Wolfe was diagnosed with Autism Spectrum Disorder in 1998 at two years old. Transcending all expectations, she now performs regularly and all of her recordings are available on iTunes and CD Baby. More information about Autumn and the new "Subliminal Lullaby" song are on her website: http://www.autumnskywolfe.com/ and https://store.cdbaby.com/Artist/AutumnSkyWolfe. The vocal director of "American Idol," "The Voice," and "Canadian Idol," Debra Byrd has coached, judged, and mentored on ABC, NBC, Fox, MTV, CW, Disney, The Hub Network, ITV, CTV, and the Pentagon Channel. She has worked or appeared with everyone from Annie Lennox and Sting to Barry Manilow and Bob Dylan. Helping individuals and families, the organization is advancing research leading to better interventions for autism spectrum disorder and related conditions. Information: https://www.autismspeaks.org/. Caption: Autumn Sky Wolfe and Debra Byrd collaborate on "Subliminal Lullaby," a song parents use to teach and soothe their children.